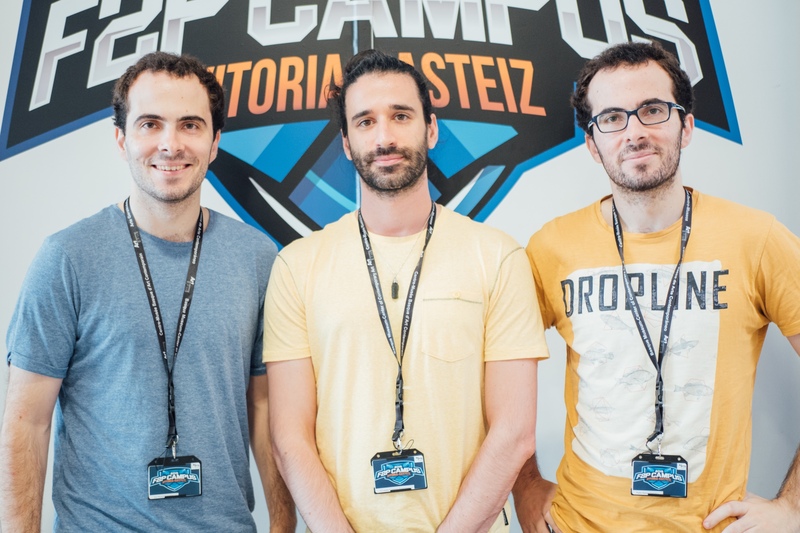 Since founding Etorki Games in 2013, Pablo Ocasar (programmer), Alexander Camarero (artist) and Ion Ocasar (programmer) have published more than 20 games, all of them free-to-play. In these five years of adventure they have gone through some bad times, and other really good ones. Until now, Crossy Creeper, with more than 7 million downloads, has been their most successful game; but it may not keep the crown for much longer. 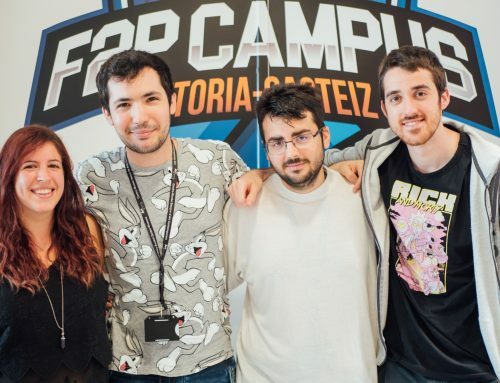 Since launching Evil Nun (Android, iOS), the project they brought to the F2P Campus in Vitoria-Gasteiz, the response from the community and influencers has been overwhelming: The game has been downloaded more than 1.000.000 times. The project has not been without its problems, but thanks to their perseverance they have managed to weather all manner of storms. 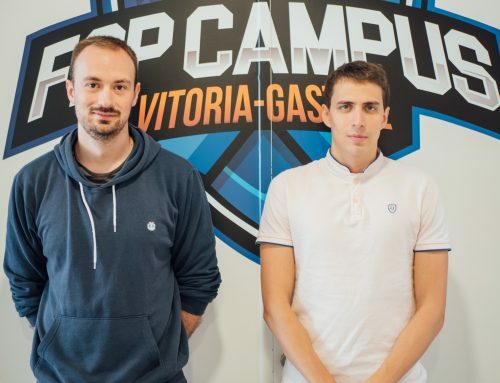 It’s time to get to know the people behind the most terrifying game at the campus. F2P Campus (F): When did the idea for Evil Nun come up? Etorki Games (EG): It’s a project that we did in a short space of time because it was our first horror game. The idea was to experiment a bit because we saw that there was a niche and we thought we could fit a new game in there. 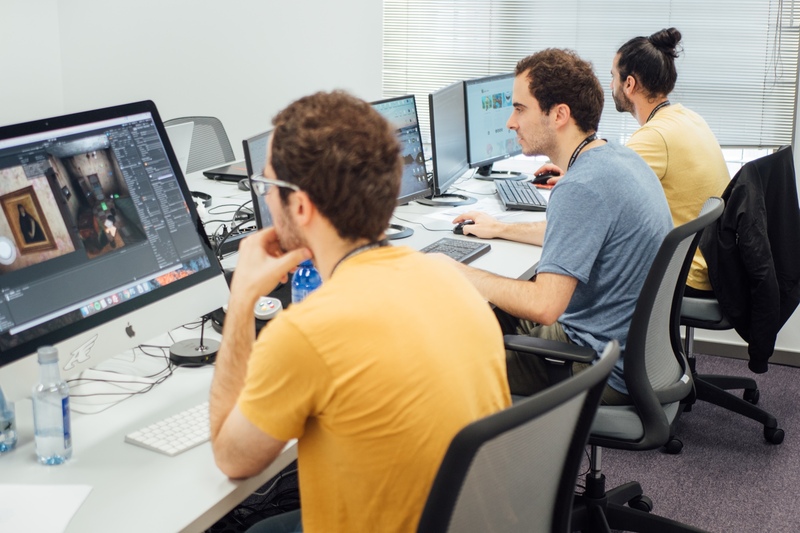 We brainstormed quite a few ideas and in the end we went for a nun, because we wanted to set the game in a school, and from there we started to put the whole story together. EG: The game is, you’re a little kid who has been punished and sent to a special school where there’s only one person, the nun, who’s in charge there. Then what you have to try to do is escape from the school without getting caught. If the nun catches you five times the game is over. There are supposedly more kids who have tried to do this but haven’t managed it, and they’re hiding there somewhere. You have to solve loads of puzzles without the nun catching you, and one of them would be to save the children. EG: We think it’s an original idea. We don’t know any other horror game about nuns and I think it’s something that a lot of fans of the genre might really like. 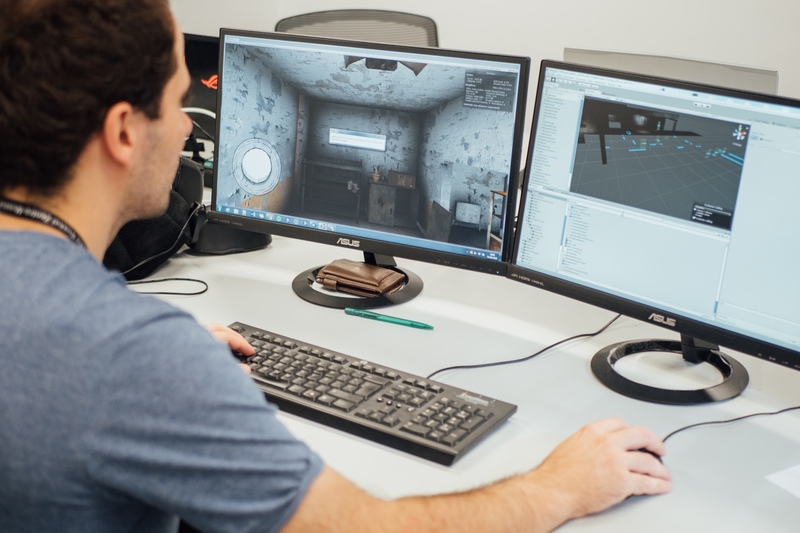 The feedback we’re getting is very positive, people tell us it’s one of the scariest games they’ve played and that shows us we’re on the right track. In fact, there are people who went to a convent school and they’ve told us that it reminds them of some teacher. EG: There was a case of a kind of laundry in England where they gathered single women with children. They were supposedly fed, given shelter, and in exchange they had to work. Years later, many dead bodies were discovered beneath the laundry, and what’s more it was run by nuns. The truth is that we started off with the idea of the school, but this has also given us a lot of inspiration to create a place run by nuns who kidnap children. EG: We’ve always made free-to-play games so with this game it couldn’t be any other way. Besides, horror games that work well nowadays on mobile platforms use this business model. F: In what area would you say the campus has helped you the most during development? EG: Our objective was to learn how to improve the monetization of our games. A lot of experts in this area have come and we’ve tried to take full advantage of their knowledge because it’s an area where we’ve never been that strong. 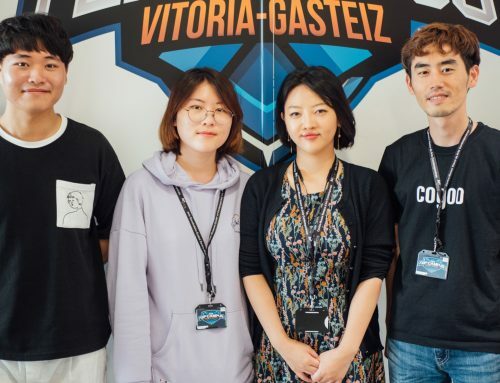 Before entering the campus we did a load of tests, especially with Crossy Creeper, to improve revenue, and those tips have been really useful for us. It’s also been good for us to make contacts and improve in a lot of areas. EG: The thing we’re most proud of is seeing that we’ve made a game and have had an almost immediate response from YouTubers, fans…and that’s what’s giving us the strength to improve the game. Because we can see, without any doubt, that people love it, which hasn’t happened to us with other games. Also, we’re getting a lot more downloads per day than we’ve had with other projects. We’ve even been a featured game on the App Store. F: What has been the most difficult moment so far? EG: The most difficult moment was when the Play Store withdrew our game from the store for no apparent reason. Communication with Google was very slow and we lost several days before they explained what was happening. 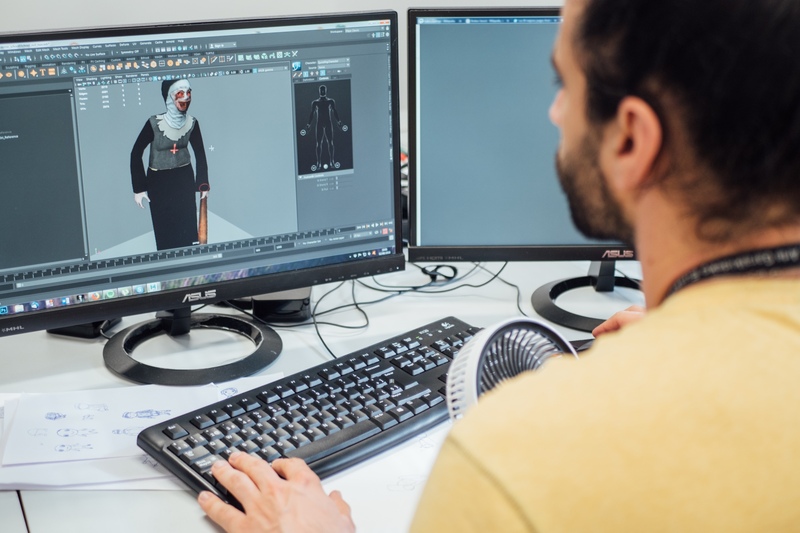 It turned out it was a copyright problem with the film The Nun and we had to change the title of the game and the nun’s appearance slightly to avoid future problems. Another problem that we’ve had is that, in becoming known, clones have cropped up. Literal clones where someone has downloaded our game and published it as a paid game without changing anything. Our logo even appears at the start. Having your game cloned is bad, but good at the same time because it shows that you’ve got something interesting there, with a lot of potential. F: How would you define the Etorki Games team in one word? If you don’t want to miss any news about Etorki Games and Evil Nun, take a look at their website or follow them on Twitter and Facebook.